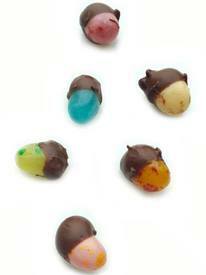 Chocolate Dipped Jelly Beans? This Is A Great Way To Use Up Some Of Your Leftover Easter Candy! No Recipe Required, Just Temper Your Favorite Chocolate (i Like Them All), And Dip And Eat. So Easy!